Shaktiman Tech. Tools is an accomplished and a thriving enterprise manufacturing a wide range of cutting tools such as broaches, gear hobs, milling cutters and other unique cutters. We have become top players in the field of cutting tools manufacturing based in Patiala, India, and our position has been incomparable for several years. Shaktiman Tech. Tools was established in the year 2000.Our company uses the latest technology and an upgraded quality assurance system at each stage of the production process.We offer customized tools as per the demand and blue print provided by our customers. Shaktiman Tech. 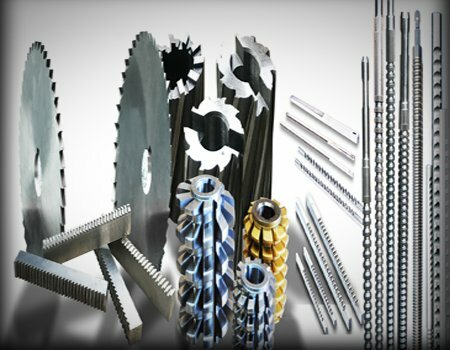 Tools(India) is the leading manufacturer of broaches like spline broaches, serration broaches, involute broaches, keyway broaches and special profile broaches based in Patiala, India. Shaktiman Tech. Tools(India) manufactures gear hobs and gear shapers used for generating gears of maximum accuracy. Shaktiman Tech. Tools manufacture top-notch special type cutters that are used for cutting special components. Do you want broaches that are effective, original, and are designed to do the job precisely? Look no further, at Shaktiman Tech. Tools we produce broaches that are made from top quality materials. Our broaches are made in several lengths, sizes, and shapes to suit our esteemed customers. Our ability to maintain consistency has made us a renowned company in the field of broach cutting tool manufacturing. Shaktiman Tech Tools(India) sharpening services are also available up to 1600 mm length. Read More..! Shaktiman Tech Tools(India) provides a broad range of cutters such as slitting cutters, milling cutters, gear hobs, special cutters, etc. The manufacturing process of Shaktiman cutters involves quality planning, product testing, and quality control which helps us meet the international standards. Read More..! Shaktiman Tech. Tools(India) are problem solvers, and that’s what defines us as manufactures. Finding the best way to help and solve our customer’s problems is our core goal. We have a broad range of knowledge in the field of manufacturing cutting tools. We strive to build trust with our current and future customers by offering them the quality and value of our products. Our motto is to maintain the best quality and entire satisfaction of our valuable customers. Read More..! 2017 © Copyright (Shaktiman Tech. Tools(India)) All rights reserved.